Inspired by some friends of ours who regularly celebrate their very own Gin Thursday we have decided to further your gin palate by having a different gin on special offer every month on Thursday’s! Everyone knows that Thursday is the working week night you can get away with having a few….I mean it’s basically the weekend right? So to kick off our Gin Thursday we have the delectable Brockmans. A gin like no other, Brockmans is fruity and full of flavour. 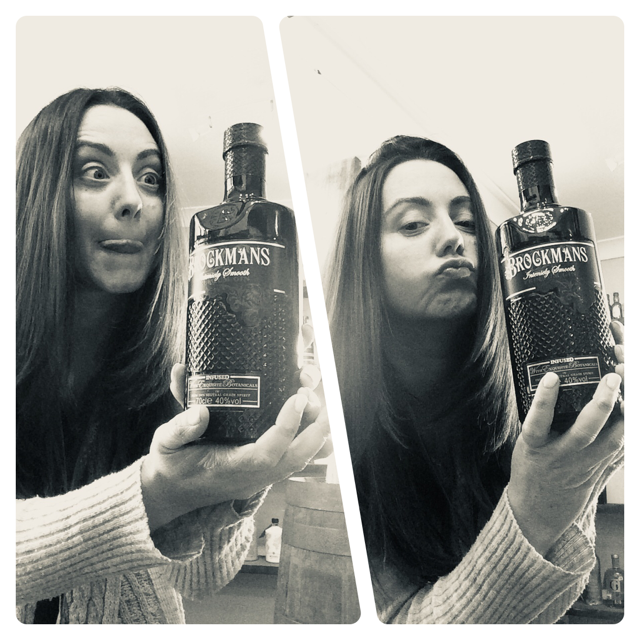 Made by an independent English gin company who aimed to ‘create a gin so smooth and sensual, you would want to drink it neat over ice’, Brockmans really is a taste sensation! A unique infusion of botanicals is slowly distilled in a traditional copper pot still to produce an exceptionally smooth spirit. Brockmans is a combination of traditional botanicals such as juniper berries, angelica and Bulgarian coriander, complemented by refreshing citrus and berries. Wild Tuscan juniper berries lend the gin notes of lavender and pine and angelica and coriander provide a slight spice and earthy edge. A selection of wild blueberries and blackberries gives Brockmans it’s individual taste, with Spanish almond oil for smoothness, and zesty refreshing flavours from lemon and orange peel. This unique blend of botanicals makes a great gin, just wait till you try it! The botanicals are steeped in the spirit for many hours to release their natural aromas and flavours. On the nose, Brockmans is floral with notes of citrus and berry. It’s a sensual taste experience, with subtle berries complemented by lemon and hints of cinnamon and lavender. This gin has the perfect balance of sweetness and dryness, the flavour has even been compared to a raspberry lemon cake. The care and attention and carefully selected botanicals is what gives Brockmans an amazing flavour and complexity. The gin also has intense smoothness and lingering warmth, something that you only get with small batch distilled gins. The dry finish is what makes Brockmans unique and sets it apart from other fruit gins, it is truly different. Brockmans is enjoyed by gin lovers and non-gin lovers due to its balanced and unexpected taste. An ideal gin for sipping on its own or on the rocks, it also works well in cocktails and with tonic. We recommend Brockmans served as a double with premium tonic water and garnished with blueberries and raspberries. Starting this Thursday we will be running Gin Thursday with a new gin on promotion every month. If you like it and love it we will also give you 10% off a bottle at Riddles Emporium if you keep your receipt from your drinks at Riddles Bar! So further your gin repertoire and celebrate your love of gin at Riddles. Hey why not make it a weekly thing? Be rude not to! See you Thursday gin lovers!